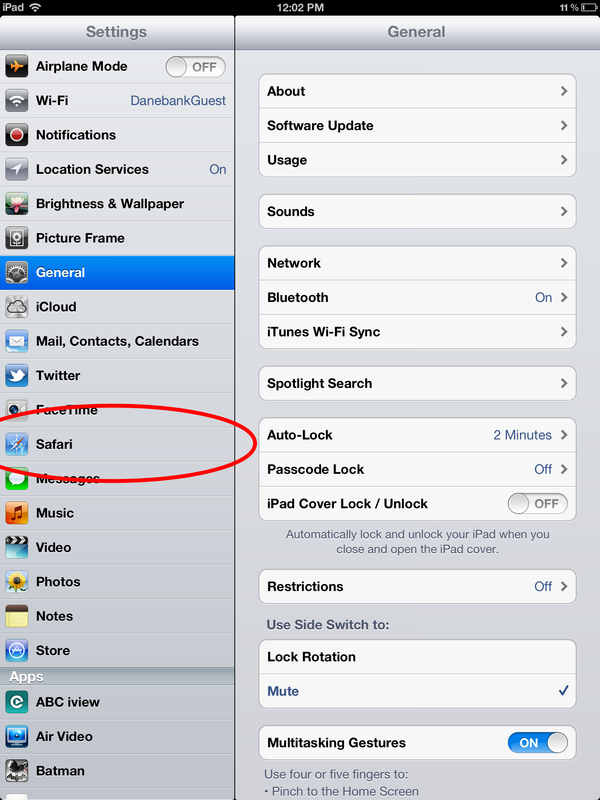 Your iPad Safari by default is set to block pop-ups from websites, however edumate currently requires the use of pop-ups and this the pop-up blocker on the ipad needs to be disabled to be able to use edumate. 1. Locate your settings icon and tap it (circled in red below). 2. 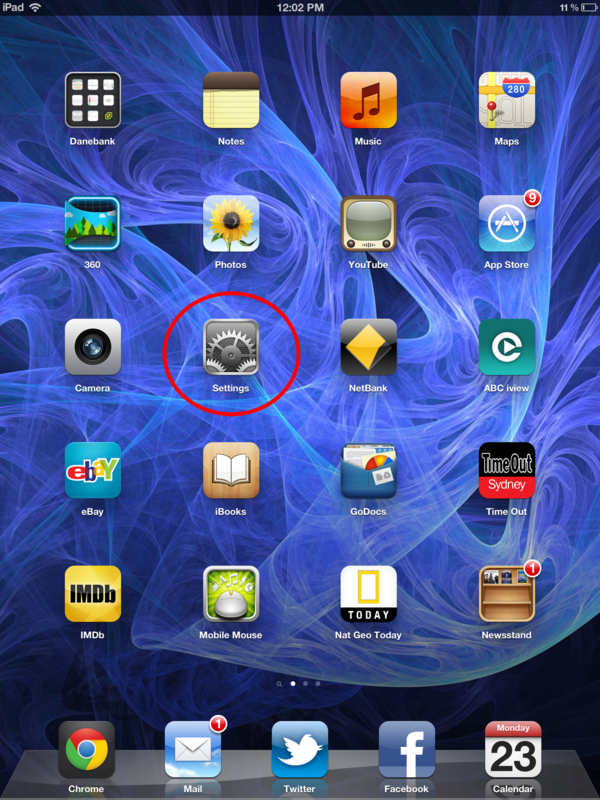 Tap ‘Safari’ in the left column of the settings page (circled in red below). 3. 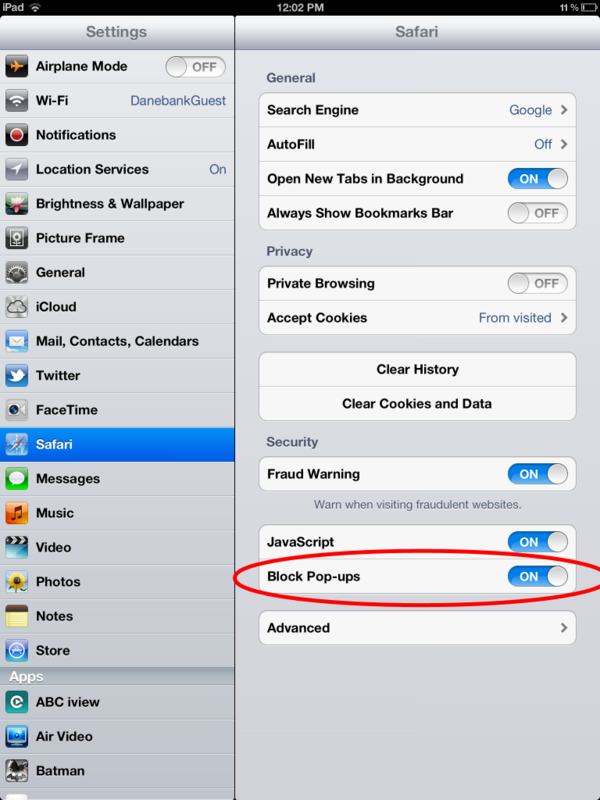 Locate the ‘block pop-ups’ setting in the right column. If it is set to ‘on’ (as in the red circle below), slide the switch to disable the pop-up blocker. 4. The switch once slid to the left should indicate ‘off’ and you will now be able to use websites such as edumate that utilise pop-ups.